When we meet with a new client, we get them to fill out a questionnaire which asks them what their major concerns are in their business. What is the most common answer, you ask? Not getting enough traffic ‘in the door’. Unfortunately, one of the common reasons that 8/10 small businesses fail is their lack of strong lead generation strategies. Almost every business owner we speak with is looking for more new leads. And there’s a good reason for this: the bigger your list of leads, the more opportunities there are to convert into sales for your business. So how long does your search party for more leads need to go for? You will be pleased with what I tell you next… you can call it off! Our clients are always left gobsmacked once they realise the simplicity of increasing the number of leads in their business. 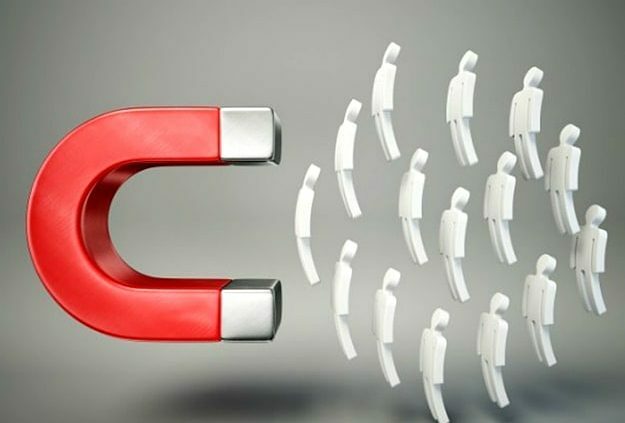 Now, there are roughly 84 different lead generation strategies, but if you start with these four you will most definitely be able to generate enough leads to keep your business growing. Being absolutely free of charge whilst providing amazing results, referrals from existing customers is a strategy not to miss. Every existing customer is a walking, talking testimonial! And considering that in today’s world, one of the major factors that deter or encourage someone to buy from you are the reviews that are shared face to face or written online, having your customers share a positive review of your business is imperative to generate more leads. An easy way to do this is by making a habit of collecting testimonials and reviews and using them on your website and other marketing materials. This is a great investment in the future of your business, because repeat customers mean repeat business – so this lead generation strategy has an exponential effect. Over the past decade, there has been a noticeable shift in buyer behaviour with our access to the internet becoming much more efficient and reliable. These days, 60% of the buying decision is made before someone will pick up the phone and speak with a sales person. If you have a strong online presence, you will consistently find new customers at a higher rate than your competitors who don’t. Do you look at your marketing as an expense or an investment? Good marketing which gains new customers is most definitely an investment. With that mindset, you will be able to develop a more targeted marketing plan, allowing you to market specifically to your niche. This brings good customers to any business far more effectively than broad-based marketing. Test and measure different strategies then invest the money to “buy” more customers at an acceptable acquisition cost. Need a new database of your target market? Why not exchange yours with another business?! One of the greatest resources for generating leads for your business is other businesses. A strategic alliance allows you to sell your product/service to your target market, by using a database from another business that sells a different product/service. Make connections, and find new customers! Start by making small improvements in the 4 lead generating strategies above and you will notice a dramatic difference in your sales funnel. Keep developing these tools and you are sure to generate enough leads to get your business soaring! If you want to generate more leads in your business, let us teach you more strategies that are just right for your business. Click here or call us on 9146 4439 to organise a coffee with one of our coaches! https://www.actioncoachsydneycity.com.au/wp-content/uploads/2017/05/leads.jpg 426 625 cvanwilder https://www.actioncoachsydneycity.com.au/wp-content/uploads/2016/06/ac_colorlogowith-trademark-340x156.png cvanwilder2017-07-04 10:00:112017-05-15 10:53:18Lead generation strategies are all around you! As you start the New Year have you thought about what your Unique Selling Point (USP) is? Remember USP isn’t just another acronym, it’s how to make your business stand up and be noticed. You need to find a way to be unique and for others, particularly customers, to recognise that at once. Your product or service won’t be truly unique but your customer offering must have a unique approach that instantly makes your business stand up and be noticed. This will give you an edge over your competition. Take for example a pizza company. Many years ago in the US, a family-run pizza joint in Michigan was looking to find a way to make it stand out from the crowd in the 1960s as one of the family members took over the business. This new owner, Tom Monaghan, was living rough in the store. So he desperately wanted to boost revenue and if things went well, create a franchise. So he came up with a USP – pizza delivered in 30 minutes or it’s free. Bingo! He had found a unique way to make the business – which most of us would now recognise as Domino’s Pizza – stand up and be noticed. Other companies who have done similar USPs include FedEx (“When it absolutely, positively has to be there overnight”) or Woolworths (“The Fresh Food People”). The message from each is that if you really want your business to be successful, you have to have a clear USP. The alternative is to compete primarily on price and that really only leads to one outcome…..and it’s not a pretty one! What are the most important customer problems, challenges and needs that you solve? What would you say are your competitors’ strengths and weaknesses? 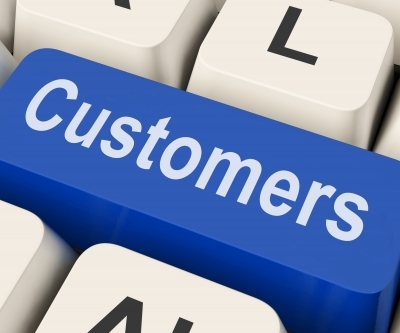 What is the reason repeat clients and customers like your business? Name the distinguishing feature that puts you ahead of your competition? If you can answers these with clarity, you are on your way to developing your own USP. A USP can be a few words or it can be whole paragraph.Defining then encapsulating what makes you different, unique, and desirable is more important than the word count. Remember, a successful USP answers this question: why should a potential client or customer buy from you? When answering this question, promise something special your competitors cannot deliver. You will need to crystallise and communicate your Unique Selling Proposition and it might be grouped under: price, service, speed, selection, quality or guarantee to name a few. If you examine all these points, you will be well on your way to understanding that a USP isn’t just an acronym – it’sthe way to make your business stand up and be noticed. If yours is clear, compelling, specific and speaks to how it makes your customers lives or business better, you’ll also be well on your way to winning! Including all of the right elements into your business plan this year, can make this your best year yet. Check out these free business planning resources for more help. Even if your business has an outstanding service or in-demand product; without new sales leads, there is a good chance that your business success will be short term. So how do you future-proof your business? The answer lies in the ability to consistently find, develop and cultivate new sales leads, so they actualise into sales for your business. There are many time-consuming and costly ways to generate new sales leads. We’ve seen all the mistakes that businesses make time and time again which stop them from thriving. Let’s take a look at how businesses are doing it well, so we can help your business gain quality sales leads. Too many businesses forget about customer service, instead focusing on discounts and incentives to generate sales leads that end up costing them in the long run. If you concentrate on the way each customer feels after they’ve done business with you and that’s its now just positive for them but makes them think “wow!”, you will see more repeat business and they’ll start talking about you with others. Sound simple? It’s a simple concept, but you need to take a good hard look at internal processes to improve customer service. For example, look at the telephone and email scripts that your sales staff use, and see where the customer experience could be enhanced. Re-write the scripts or rules if needed… it could be the most valuable hour you’ll ever spend on your business! Your Number 1 source of new leads is right under your nose… it’s your existing customers! No doubt if you have managed to get repeat business from one or more customers, they will have something great to say about your business. Ask them who else they know that is in a similar position or has similar needs to them? Would they be willing to introduce you? Be proactive about asking for referrals! Also be diligent to collect positive experiences from these customers as you go. When you’re ready, you can use these words or stories as content to help generate sales leads.Did you know that people trust their peers more than they trust brand advertising? Research shows that more than 8-in-10 global respondents (83%) say they completely or somewhat trust the recommendations of friends and family. But trust isn’t confined only to those in our inner circle. In fact, two-thirds (66%) say they trust consumer opinions posted online—the third-most-trusted format. (Nielsen Poll 2015). Your referral resources don’t have to be strictly word of mouth. Consumer reviews, testimonials, online ratings and social media following will all help boost the chances of a cold sales lead developing trust in your business without even seeing any paid advertising. If you can turn your top customers into raving fans of your business you have gone a long way to ensure the long term viability of your business. For more great tips on impactful sales and marketing techniques, download our eBook. Do you look at your marketing as an expense or an investment? It is vital for businesses to understand that you don’t just get customers, you buy them. When you have that mind-set, you can begin to understand just what you need to spend on your marketing to generate new leads. One of the cheapest ways to buy customers is through social media, and probably the most expensive is traditional major media advertising like television or radio. But you don’t necessarily just go with the cheaper option. First, find out what will work to attract your ideal customer. If television advertising costs $5,000 for 30 seconds, but it brings you 500 customers who spend an average of $100 each, that media could be a great investment for your business. 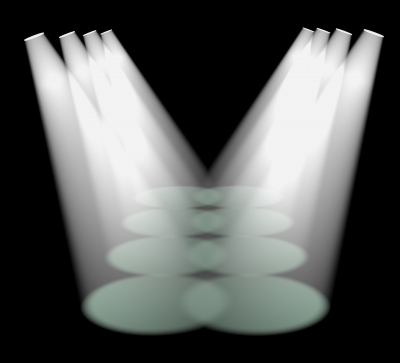 Ask the person responsible for selling you the media spot (online, event, TV, radio etc.) to help you to determine what sales lead outcomes you are likely to generate. Of course you know your business best, so trust your judgement as well as their advice. Then be sure to track the results of all marketing activities so that you understand how well and how cost-effectively each one brings you leads. One of the greatest resources for generating leads for your business is other businesses. Working in strategic alliances with other businesses that sell to the same group you target as customers, but sell a different product, can be incredibly beneficial to all parties, including the customer. Consider how much easier would it be to get customers if you were using the database of a company that your potential customers had already done business with? When McDonald’s has a new toy in its Happy Meal that relates to the latest summer movie, it’s a strategic alliance. The world’s biggest companies do it and their new sales grow because of it. Strategic alliances also give you a sense of working in a team, rather that alone. You have another business owner, who is dealing with the same group of customers you are. You can discuss sale strategies, work on them together and profit together. If you need some help choosing a strategic alliance for your business, contact ActionCOACH for advice. Using our proven 4 strategies for generating sales leads will ensure your business can generate enough new leads to keep your business moving forward. For advice unique to your business circumstances, book in a free first consultation with ActionCOACH, or call us on 02 9146 4439. So you’ve developed your sales and marketing plan, you’ve started implementing it, and 2016 is racing ahead. But how do you really know whether your plan is working or if you should revise or change it before time gets away? The only way to know is to actually test and measure your sales and marketing plan. Believe it or not, testing and measuring is NOT new to you – you’ve probably been doing it your whole business life. At its most basic, the ‘trial and error’ method will have given you a catalogue of useful learnings over the months or years. The next step is to make decisions based on that information and adapt your sales and marketing plan for a successful business moving forward. So, what marketing metrics should you use? You must start asking people where or how they found you. It’s difficult to judge how a particular advertisement is going based on sales alone. From working with thousands of business owners we can tell you that almost everyone will be happy to give you this info. Record this data, it could be a great indicator of what’s working or what in your sales and marketing plan you need to change. We discussed in a recent ActionCOACH blog the cost of acquiring new customers. The acquisition cost must, at minimum, be less than the lifetime value of the client – that way you know you will make a profit from them and that your marketing budget is sustainable. If it’s not, you will need to revise how you acquire new business in your sales and marketing plan. Better still, if your Acquisition Cost is less than what you make out of a customer in the first transaction, then you have yourself an unlimited marketing budget! To maximise your chance of increasing each of them, you must track each of the 5 ways: How many new leads did you generate last week/month/quarter? What percentage of them did you convert to a customer? On average, how many times did each of your customers buy from you and what did they spend each time? And what was your net profit margin? Just starting to measure each of these will often get them moving in the right direction! Closely related to Leads, the lifetime value of a client can be measured against the cost of generating the lead for this client, to work out whether this particular client is sustainable and also whether the methods used to generate them are worth keeping in your sales and marketing plan. Whether you are pushing your message outbound to a wide audience, or making yourself more visible online to attract inbound customers to your business, you can test and measure both to determine how to change them in your plan. Inbound marketing is proving to be a more and more successful form of marketing as the population gets inundated with more marketing messages each day, so look at the cost of these activities closely. There are many CRMs, databases and other tracking tools out there that will help you to keep track of these metrics. One way or the other, every time a prospect or customer interacts with your business, whether a sale is made or not, this must be recorded. If there is a large slice of the budget going to an activity which your CRM tells you has made no sales, it’s time to address and revise! If you would like to design a sales and marketing plan that you can test and measure to make this your most successful year yet, book in for a FREE 90min coaching session and you will walk away with ideas and tools to put these into place. BOOK HERE or Register for the 6 Steps to Building a Better Business Seminar here.